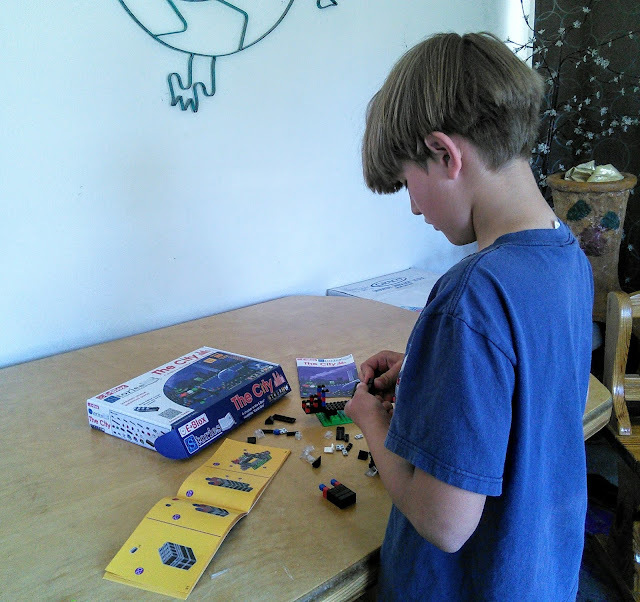 These building bricks will take learning to a whole new level! 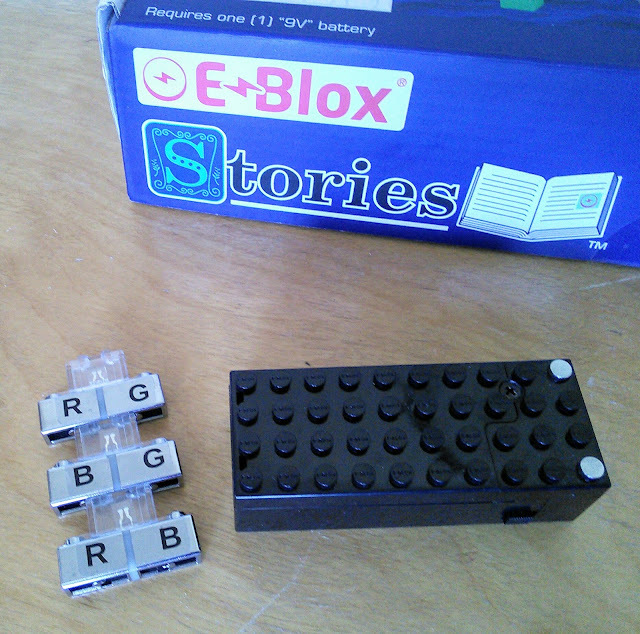 I received a building set from E-Blox to facilitate this post. My boys just finished school and the boredom came several days later. So this mom took the opportunity to get some summer learning into their day. The learning had to be fun as who wants to do school work in the summer. So when we had an opportunity to check out a building block set that turned STEM learning into STREAM. Most people know about STEM but STREAM is a new one for me. I had to ask my 11-year-old what the R & A stood for. He told me reading and art. Their gifted teacher is really into the Art part and has included it in their STEM learning but the Reading part is a new one for me. So I bet you are wondering how reading fits in with a building toy. This fun STREAM build brick set comes with a storybook that tells kids when to build. So my son started reading the story about pollution in the city and a guy trying to stop the pollution. Every page of the story directs the reader to the included instruction book to then build something. The story had my son reading and building bridges, a clock tower, a sleeping chamber, and more. There was plenty of blocks to work with along with a battery pack. Some of the blocks had circuits in them, that needed no wires to work. 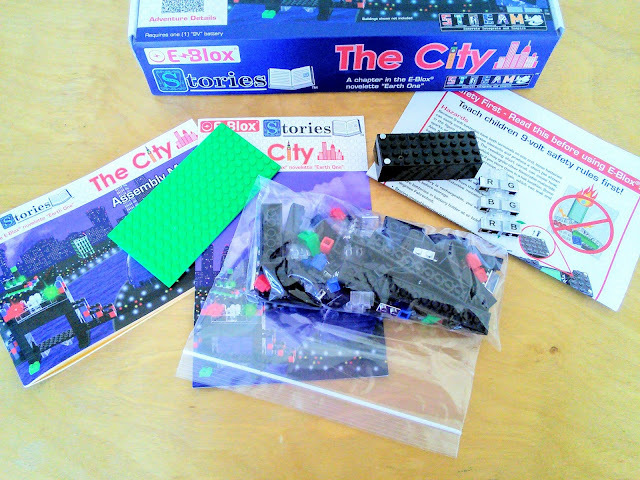 Building bricks/blocks that light up! 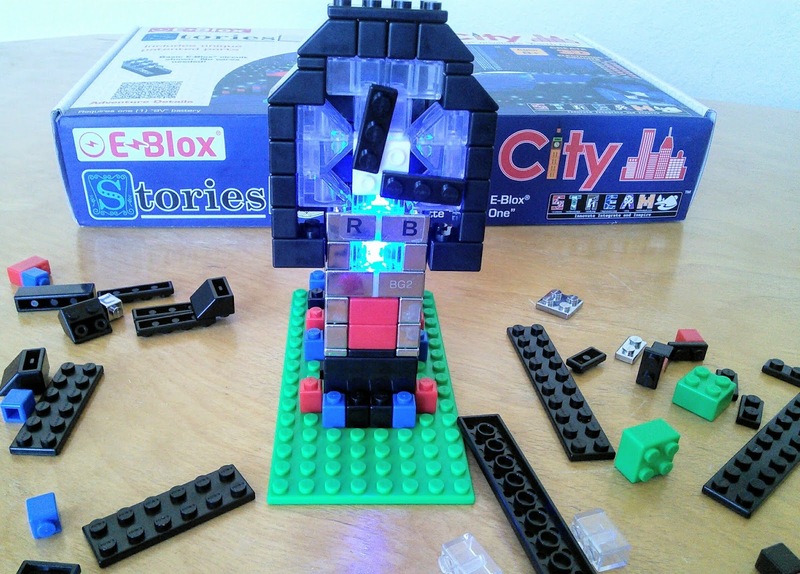 The E-Blox set went beyond building with circuits that were enclosed in the blocks that allow their creations to light up in different colors. My son had to do some technological thinking to connect certain blocks to a battery pack to get the lights to work. My son could light the creation in red, blue or green depending on how he connected the blocks. Learning STEM or STREAM is fun! This brick/block building set kept my boys engaged for over an hour. They were learning and having fun at the same time. My boys quickly learned that they could build beyond the instructions and over the next week, they built a cat and an airplane. The best part is they can use this set with their other build brick sets that they already own so the fun will last all summer. 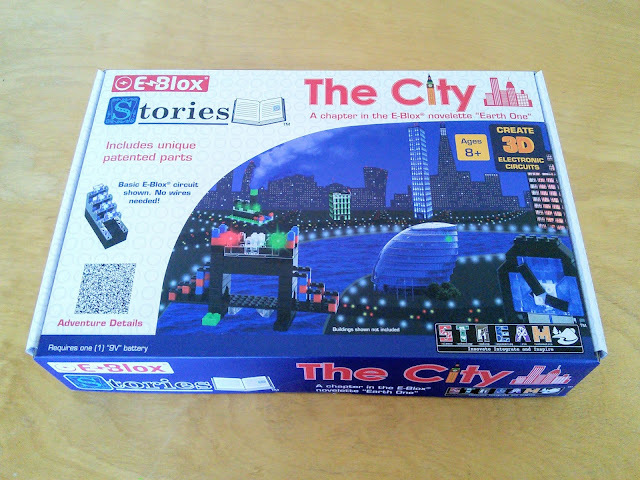 Learn more about this awesome building set that makes learning fun.